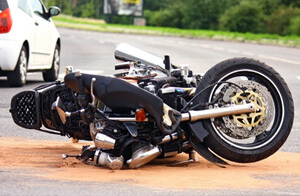 Motorcycle riders face a number of disadvantages, both on the road and after the occurrence of an accident. Motorcycles are far less visible than other vehicles, and many accidents occur simply because the other driver claims that they "just didn't see" the motorcycle approaching. Riders are far less protected on a motorcycle, and injuries are therefore frequently much more severe. Car drivers (and their insurance companies) are prone to claim that the rider was speeding or otherwise driving unsafely, trying to shift the blame onto the innocent and injured accident victim. To complicate matters, motorcycle insurance policies do not carry "first party benefits" coverage to pay for medical bills and lost wages. As experienced riders ourselves, our Lancaster accident attorneys know and understand the challenges faced by motorcycle operators. We have decades of experience representing riders injured in accidents, and we therefore have the knowledge and skills necessary to protect your rights and maximize your recovery.